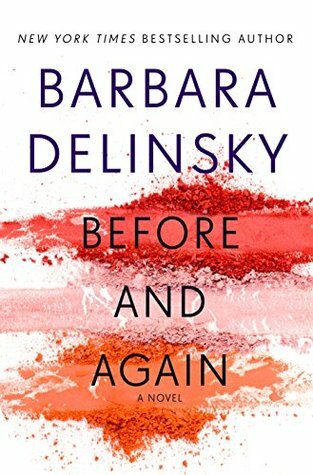 If you haven't read a Barbara Delinsky book - then start with her latest! You will be hooked. Or at your favorite online retailer. 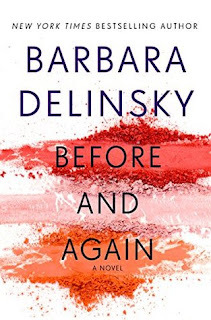 I have to admit that I am a long-time fan and have read nearly every book by Barbara Delinsky. So, when I had the chance to read an ARC of BEFORE AND AGAIN, I jumped at it. Ms. Delinsky writes unique, smart stories with interesting characters and plots. Her latest novel doesn’t disappoint. Mackenzie Cooper is starting her life over again after suffering a tragedy that destroyed her marriage and former life. In her new town, she’s created an entirely new life with a new career, new friends, and a house that she loves. But when her friend’s life is suddenly turned upside-down, Mackenzie, now going by Maggie, is thrust back into the spotlight and slowly her safe new life begins to unravel. She must decide if she should hide away or begin to trust herself to take chances again. BEFORE AND AGAIN should definitely be your next read. Barbara Delinsky, author of BEFORE AND AGAIN (coming June 26, 2018), BLUEPRINTS (2015), SWEET SALT AIR (2013), ESCAPE (2011), and NOT MY DAUGHTER (2010), has written more than twenty-two bestselling novels with over thirty-five million copies in print. She has been published in thirty languages worldwide. 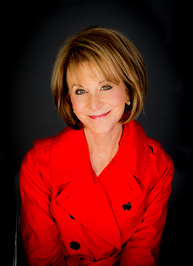 Barbara's fiction centers upon everyday families facing not-so-everyday challenges. She is particularly drawn to exploring themes of motherhood, marriage, sibling rivalry, and friendship in her novels. Publishers often reissue beloved titles; THE PASSIONS OF CHELSEA KANE, FACETS, and COMMITMENTS were trade paperback releases in 2017.